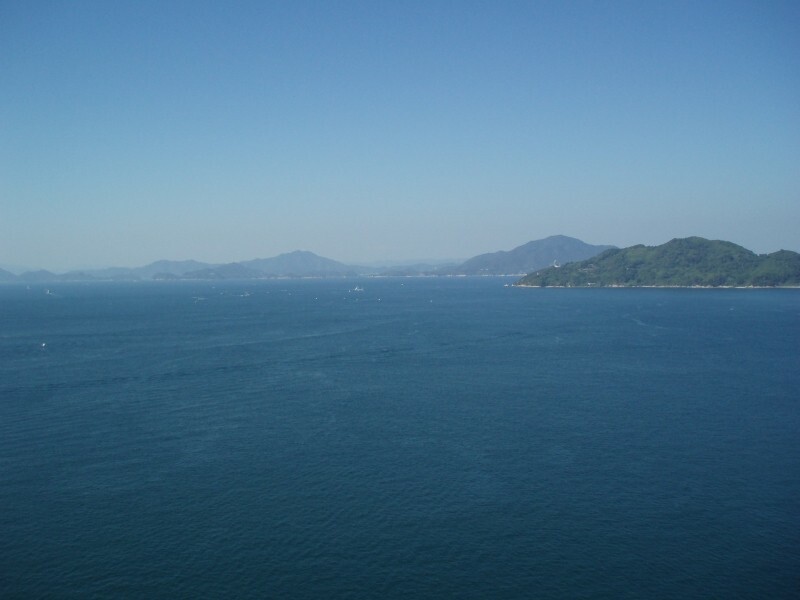 For five years I have lived in Japan, and for those five years I have seen a pathetically small amount of my adopted country. Between work, school, family, and trips abroad, I have neglected travelling internally. To remedy this I purchased a touring bicycle this summer and began commuting to work on it. 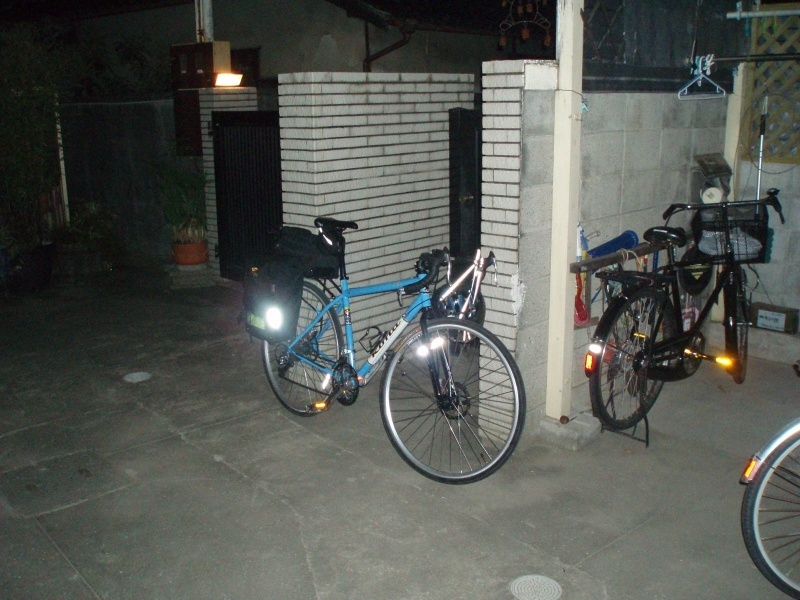 The goal was to take my bicycle and see various parts of Japan. Last weekend I took my first trip, the beginning of what I hope will be an annual (or even more!) event. 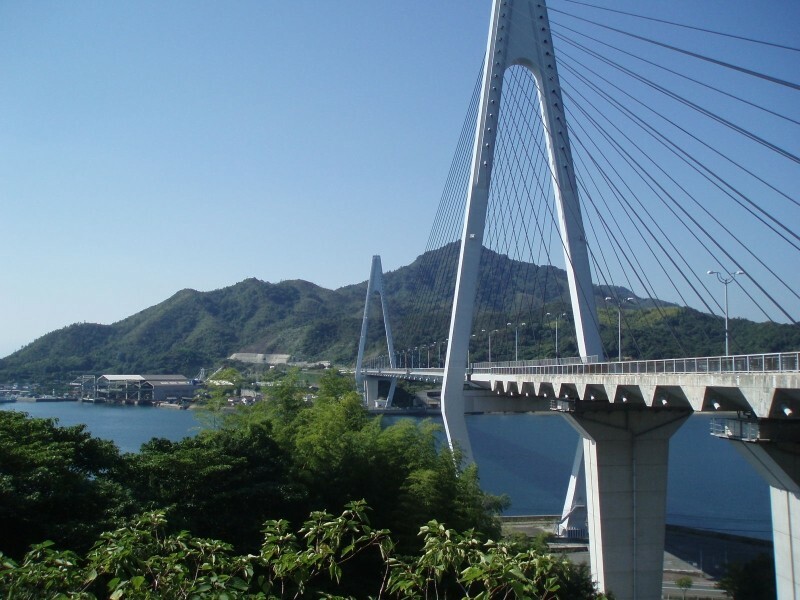 Looking for inspiration, I was lucky to find the website KanCycling, a play on words as the Osaka area of Japan is called KANsai. 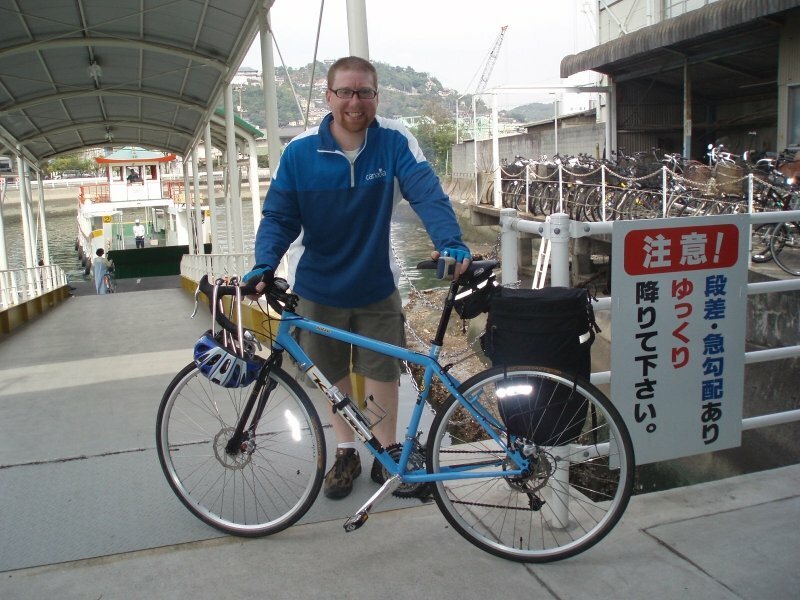 The founder of the website has biked extensively through Japan and has laid out paths to follow. For my first trip I wanted something overnight and not too taxing. 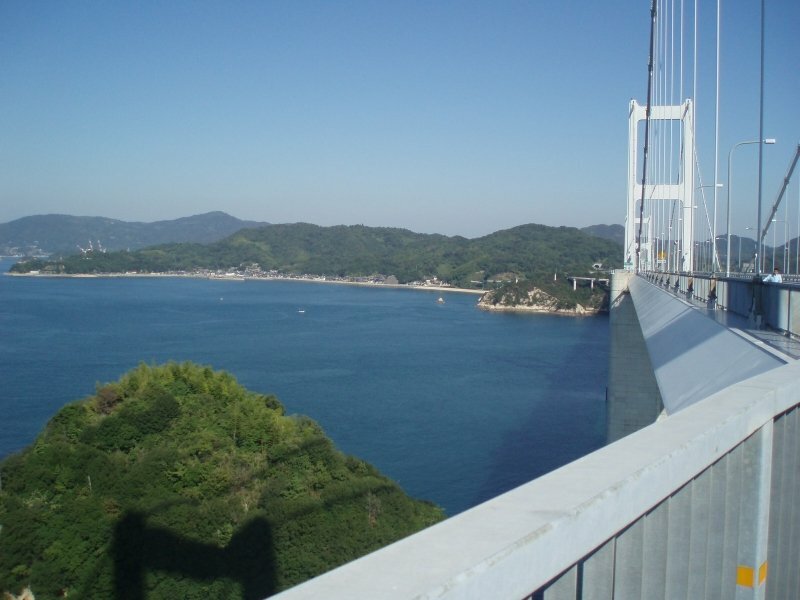 The Shimanami Kaido trip looked perfect. Quiet, dedicated cycling paths, and chicken on a stick waiting at the end. 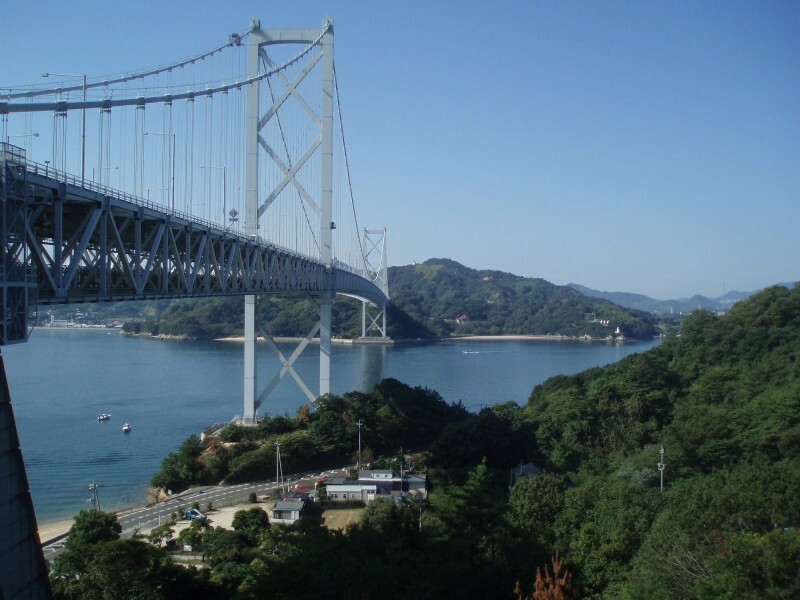 The Shimanami Kaido was a public works project of bridges and roads that was built in the 90's to connect the main islands of Honshu and Shikoku. 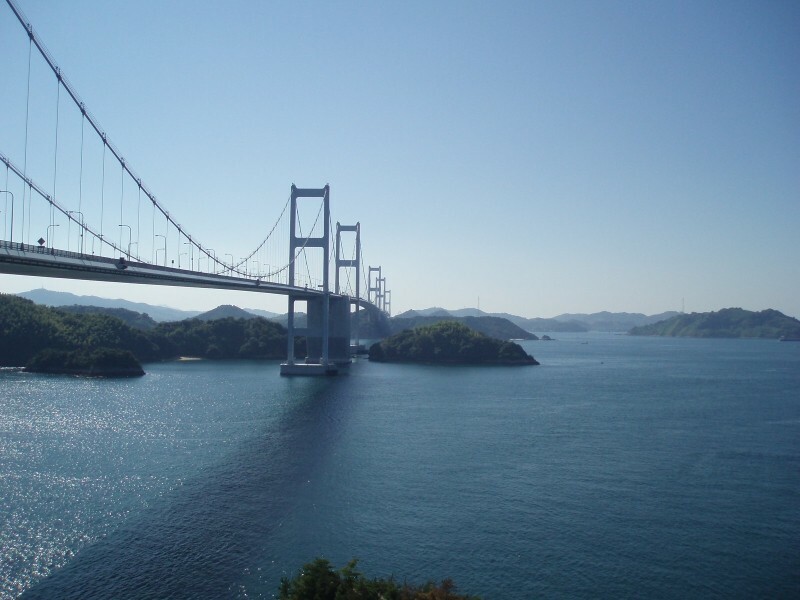 Spanning the Geiyo Islands and the Seto Inland Sea, the bridges opened up a sleepy backwater of Japan and created the opportunity for amazing views. 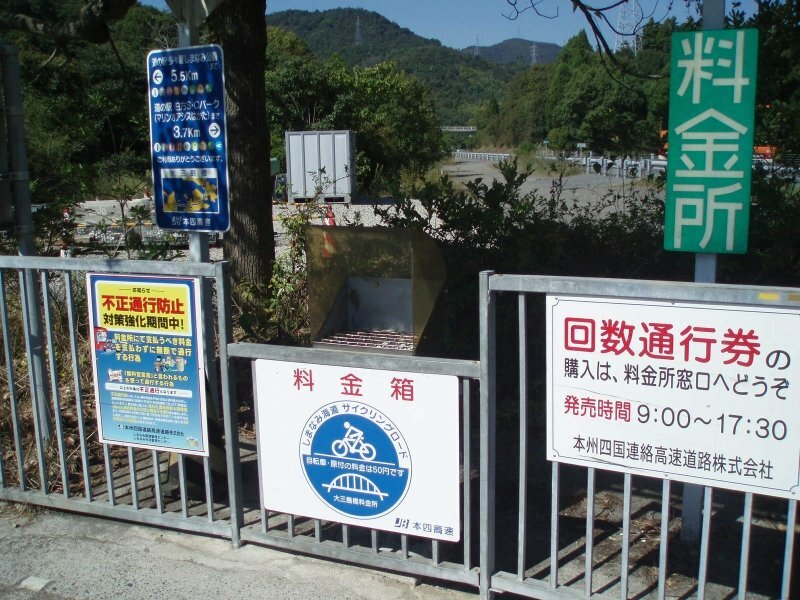 As part of the project a cycling path was created, allowing people to literally cycle across the sea. The following is my picture diary of the trip. If you have any questions, feel free to ask. I was up early, and loaded up my bike. 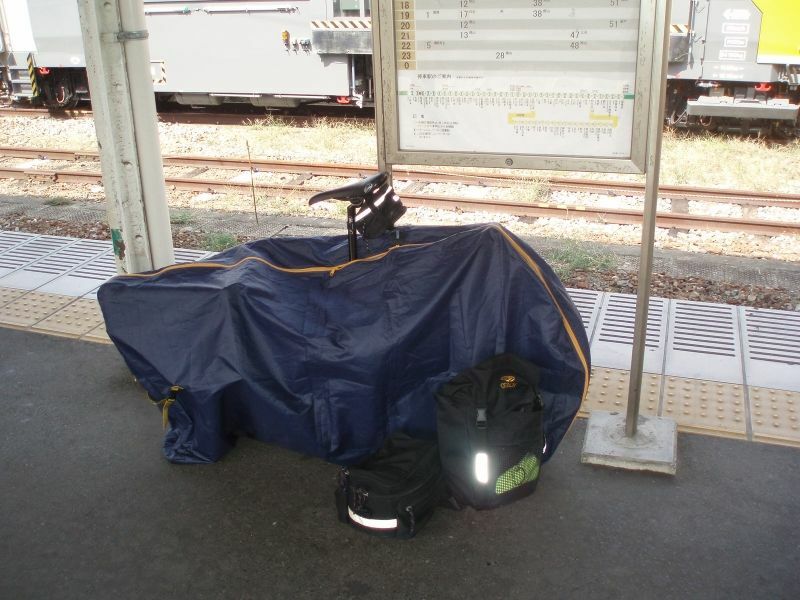 I managed to get away with two bike bags, which meant I could ride without anything on my back. 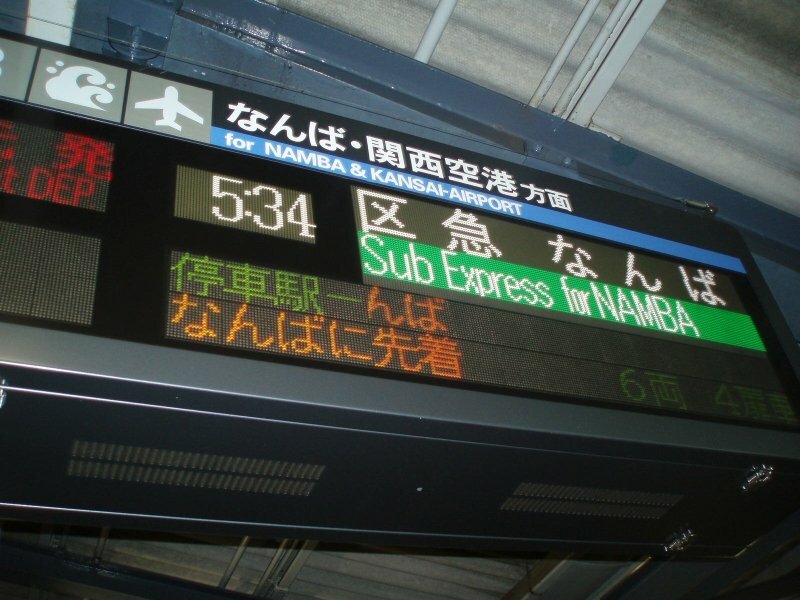 I was at the station early to catch the first train into Osaka. Joining me would be the legion of drunks that missed the last train the night before. 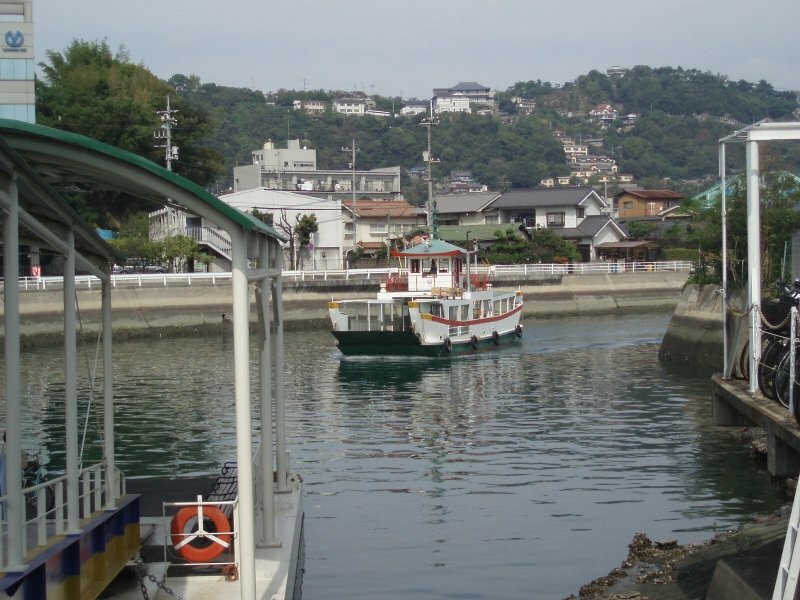 Thanks to my early start and the speed of the bullet train, I was in Onomichi by 9am. I reassembled my bicycle and a nice guy decked out in Tour de France apparel offered to snap a picture. I didn't even realize there was a castle behind me until I saw this photo. 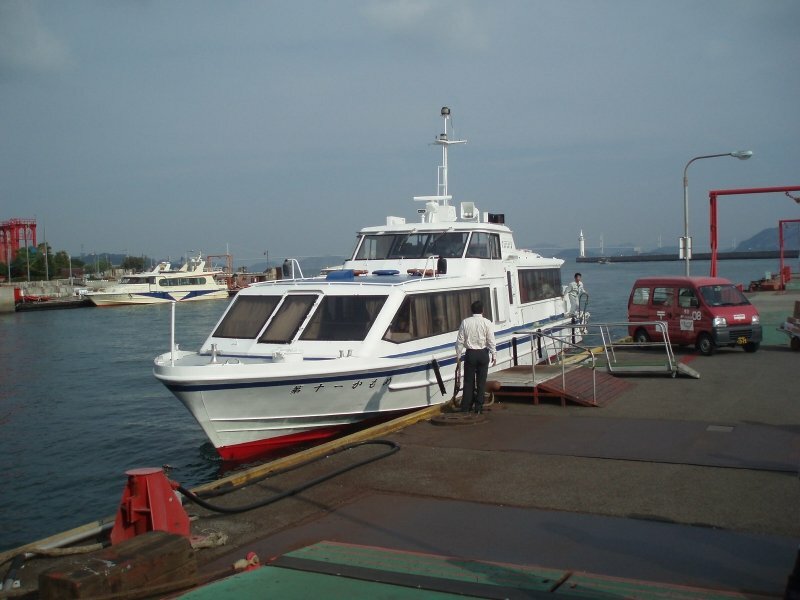 The first step of the trip was a five minute ferry ride across to the first island. It wasn't so busy... it was like a personal water taxi. It also wasn't expensive. 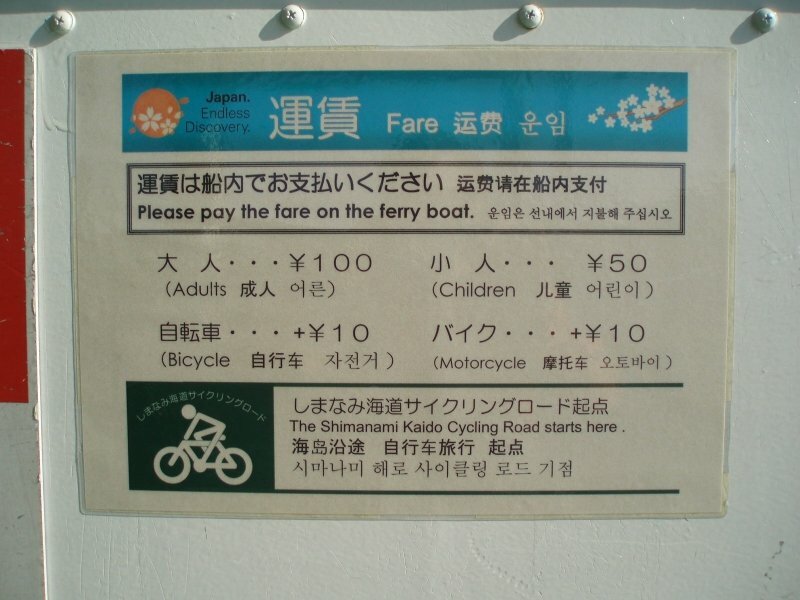 I got a kick out of the extra 10 yen (ten cents) for my bicycle. The ferry wound it's way up a canal to the dock. 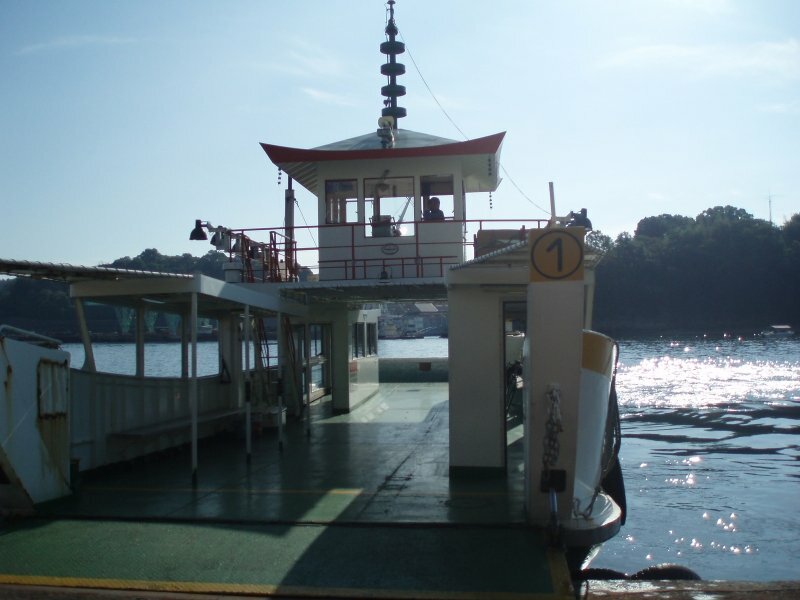 These little ferries are an important part of the local's daily transportation, but are struggling with the opening of the express way. 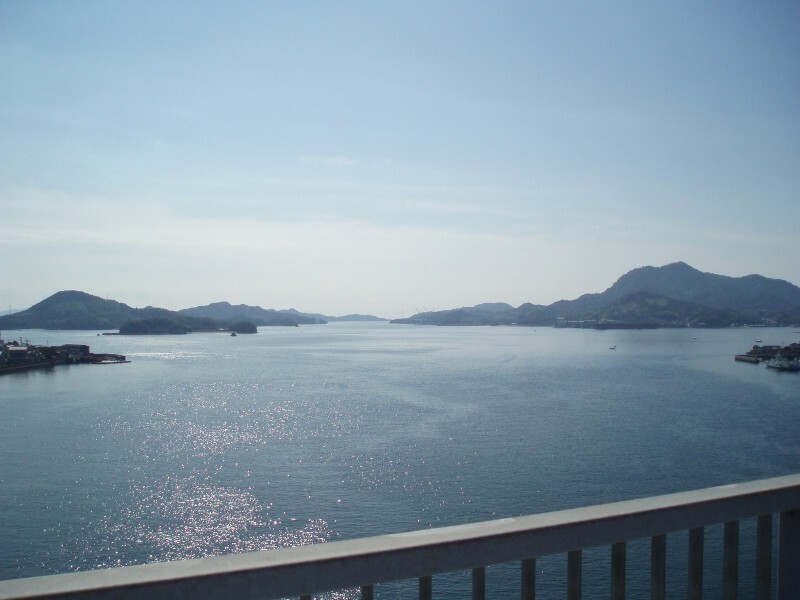 The route itself consists of sleepy island roads, dedicated bicycle paths, and six separate bridges. 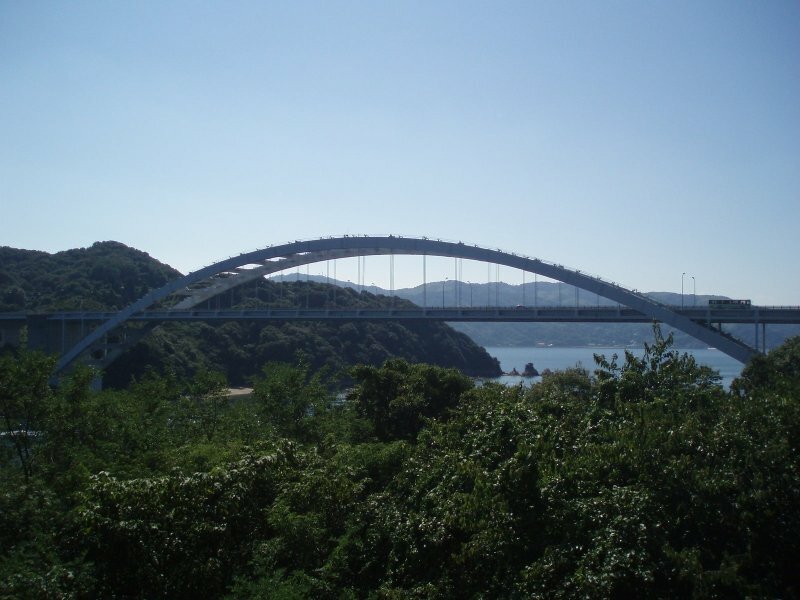 A few kilometers in I rounded a corner and saw the first bridge. Cycling up from the road below you can see the unique nature of this one, as the cyclists and pedestrians traverse below the car deck. The lack of a view through the wire is made up by the sensation of the tunnel. Cycling along the second island, I was reminded just how rural these islands were before the expressway was built. 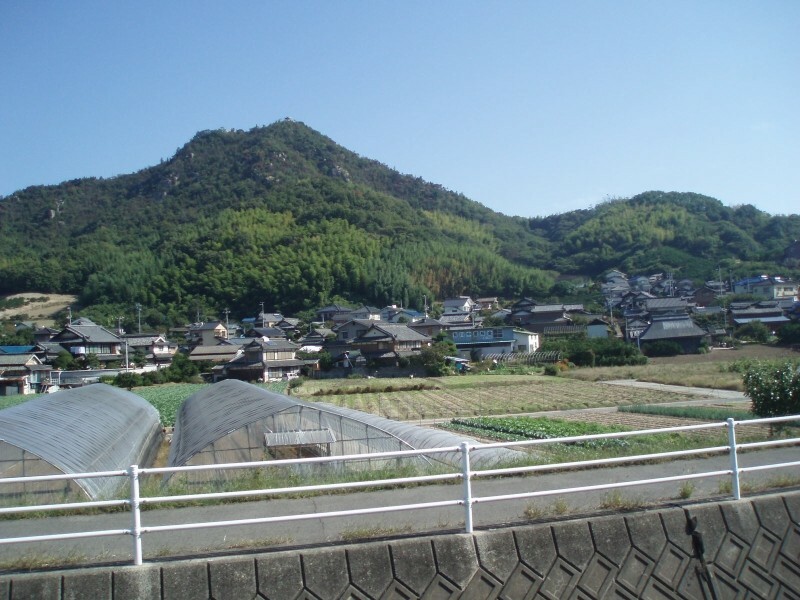 Here you can see a quiet hamlet. After another ten kilometers or so I came up to the second bridge. I came level with the second bridge and snapped a photo off to my co-worker (who was working) along with a "wish you were here" sentiment. He was not amused. Looking out at the sea from the bridge, I was struck by how similar it looked to the Gulf Islands between Vancouver and Victoria. A pang of homesickness followed, and was quickly squelched by more riding. The third bridge was much more impressive. 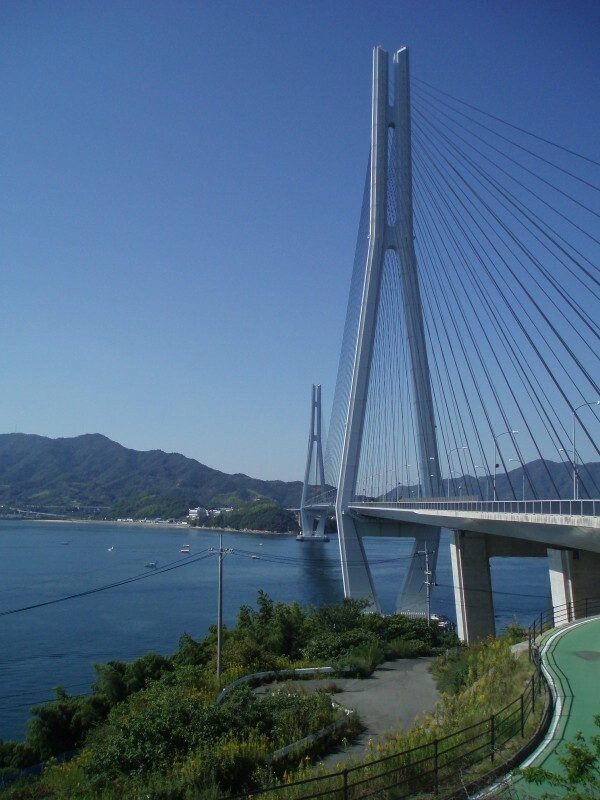 The Tatara bridge is the second largest cabled bridge in the world. Looking down I could see people fishing for their livelihood. Looking up I could see the tower. The sky shows you how lucky I got with the weather. 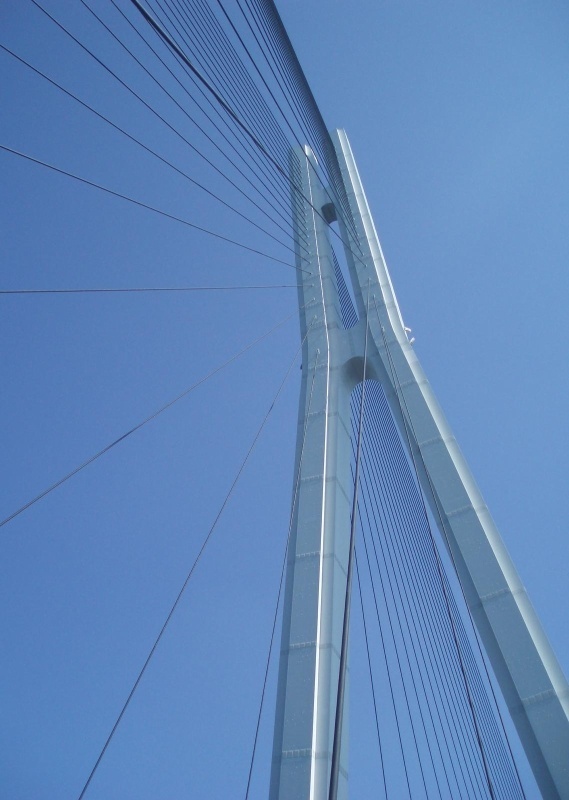 The fourth bridge was a modest affair. 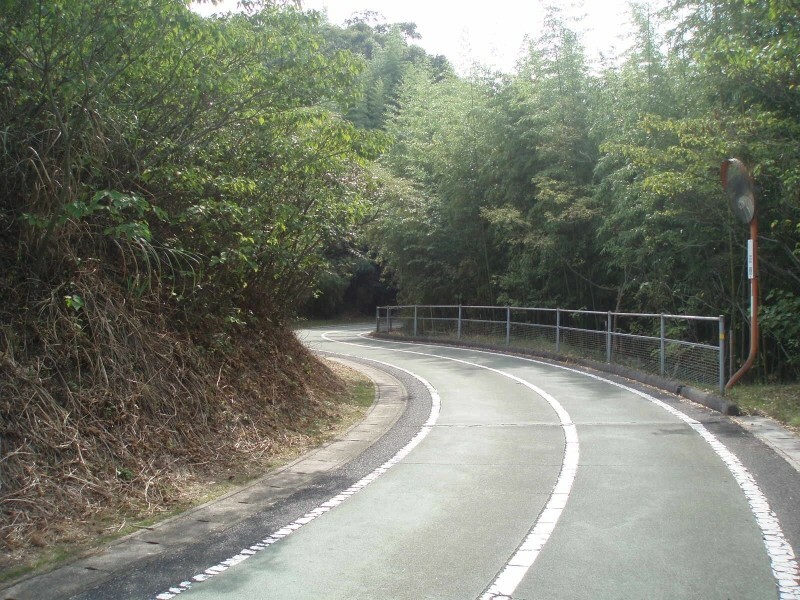 Here is a better look at the bicycle paths that take you up from the road to the bridges. There are worse things in life than cycling through bamboo forests and orange groves. 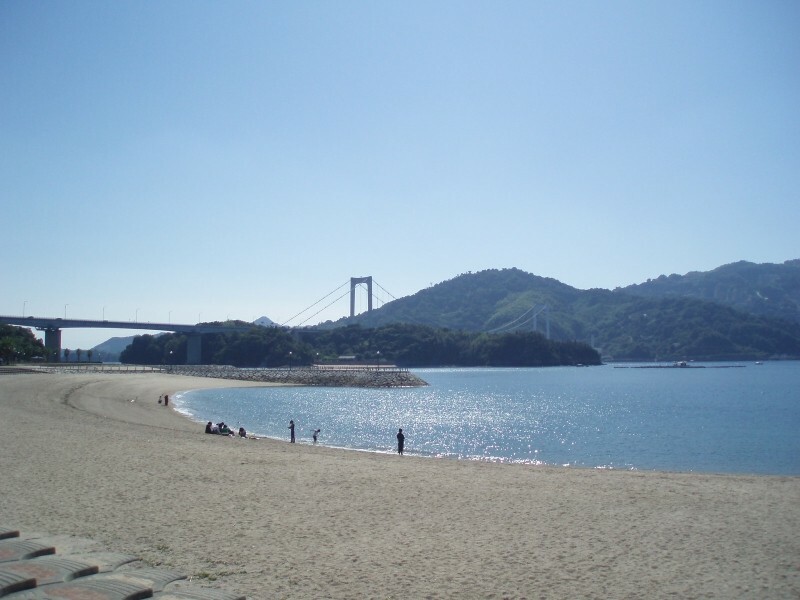 The fifth bridge, that tops a gorgeous beach. Next time I will go swimming. 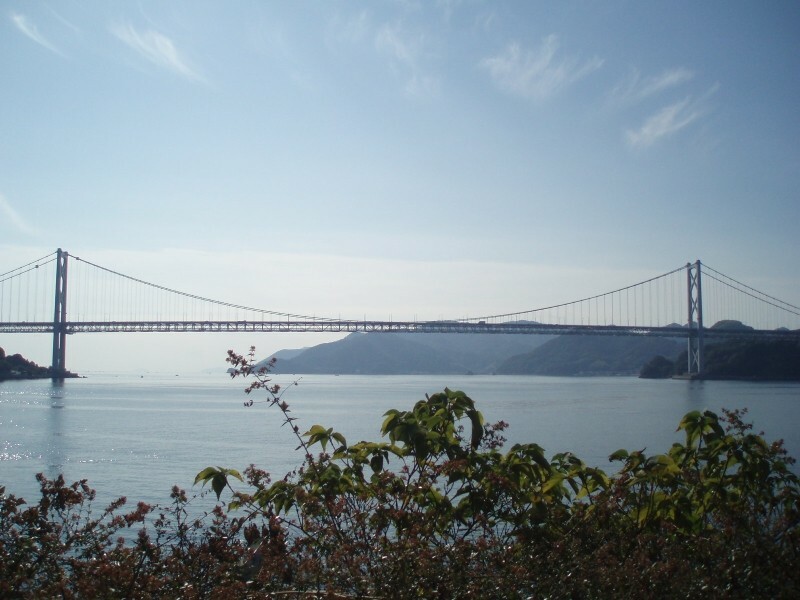 Finally, I approached the final bridge for a stunning climax. 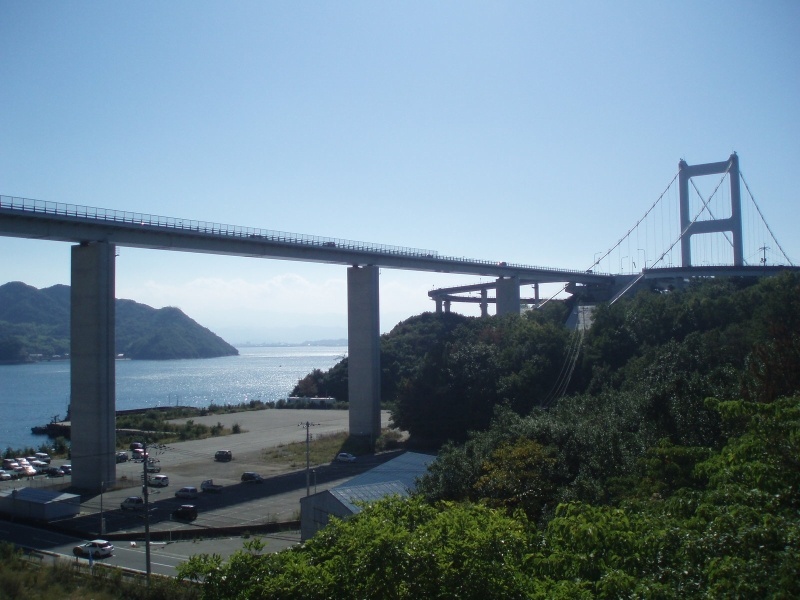 The Kurushima Kaikyo Bridge, the longest suspension bridge structure in the world. I tried to capture the whole bridge in one shot, but it was not possible. 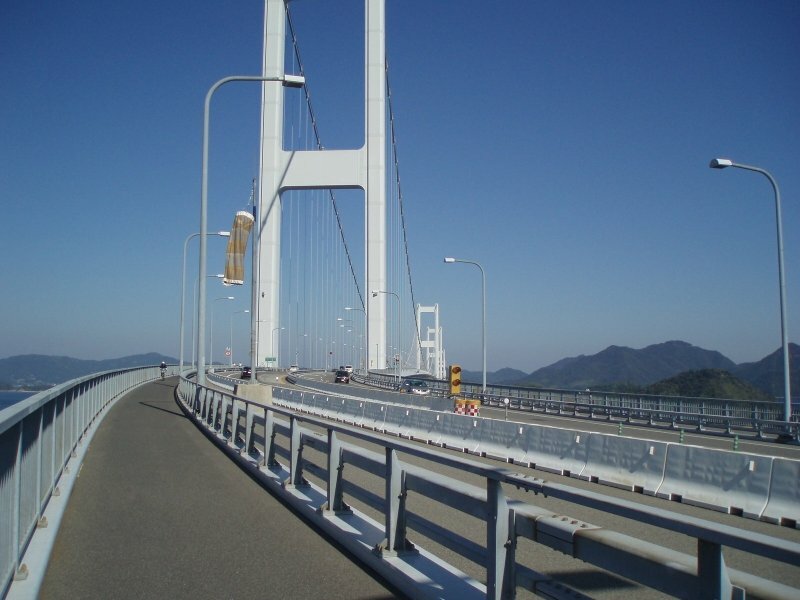 It is more than four kilometers long. 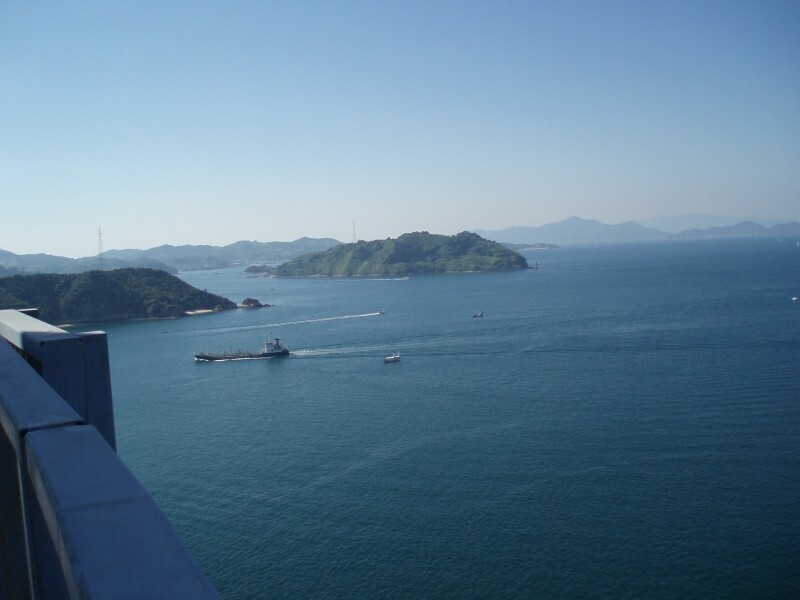 It was surreal to cross over the top of islands. More flashes of Canada. 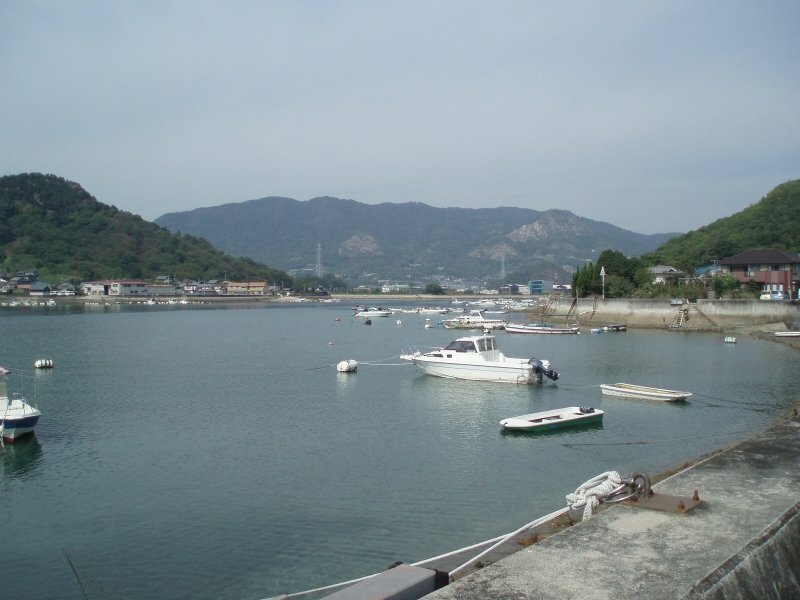 Coming from the concrete world of Osaka, it was soothing to the soul to realize these views exist in Japan. 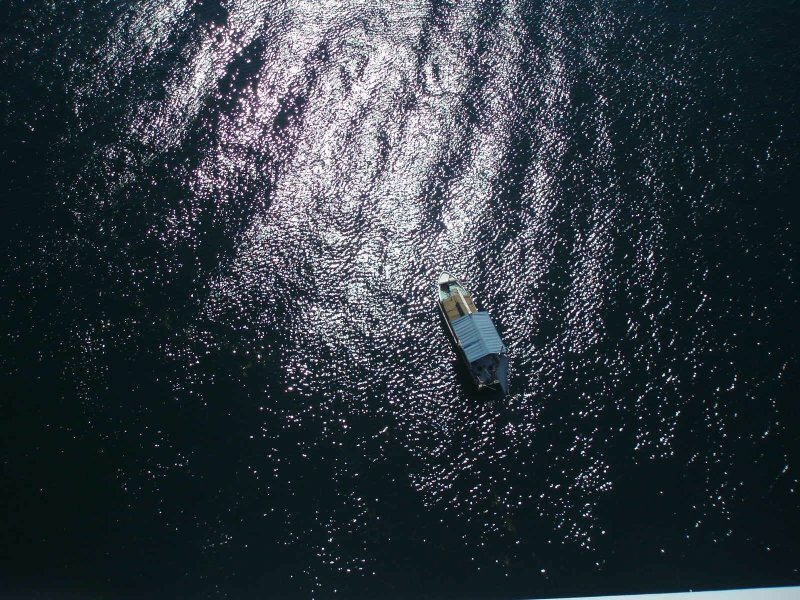 Ships of all sizes ply the waters below. Looking back to where I started, and I was only 1/5th of the way across. 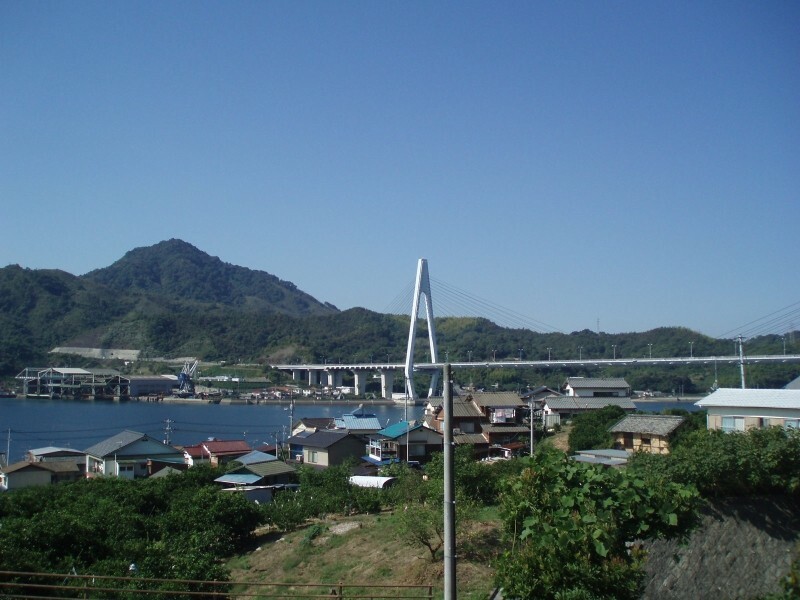 I finished the bridge and cruised the last few kilometers towards Imabari, a city famous for yakitori. The best food in the world. 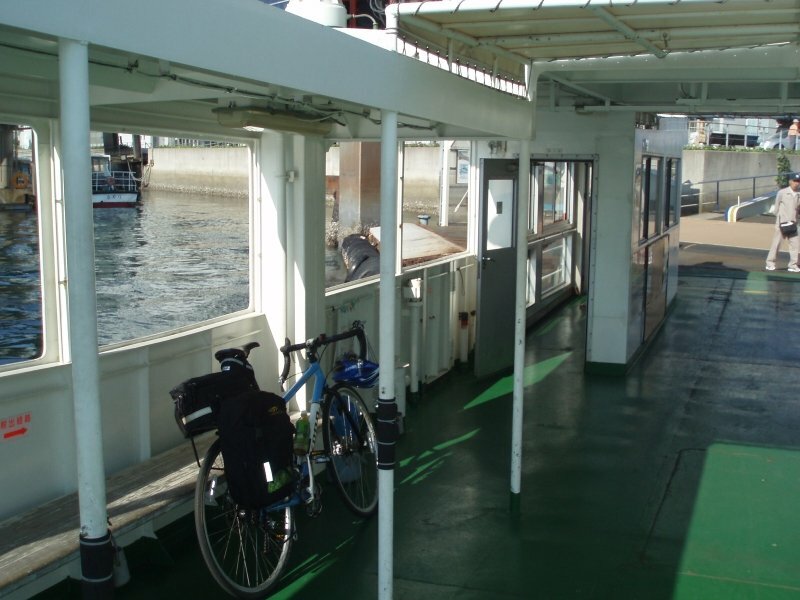 The next day I listened to my body and chose to take a ferry part way back. 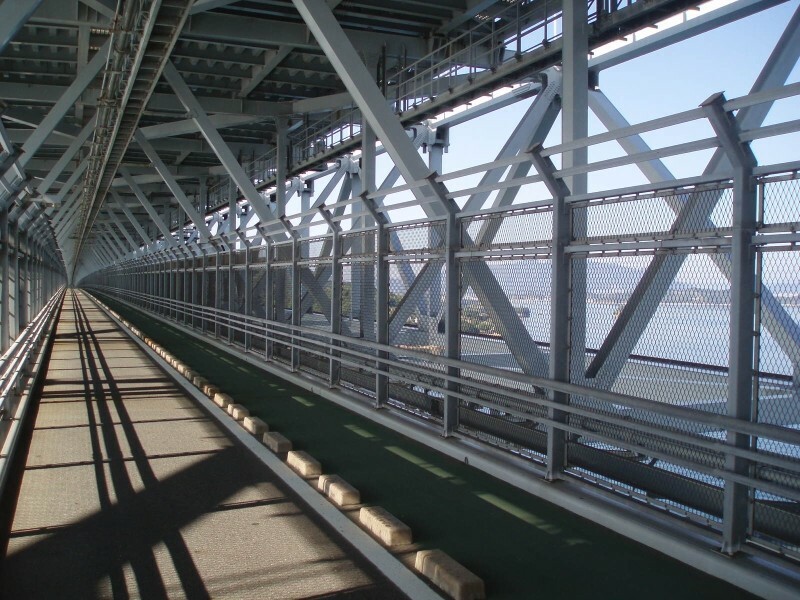 This would also allow me to avoid rush hour in Osaka with my bicycle. I took the purple outside route which chopped 2/3rd of the distance off. Little ferries like this visit a dozen spots on their way between the islands. The red van beside it is the postal service. 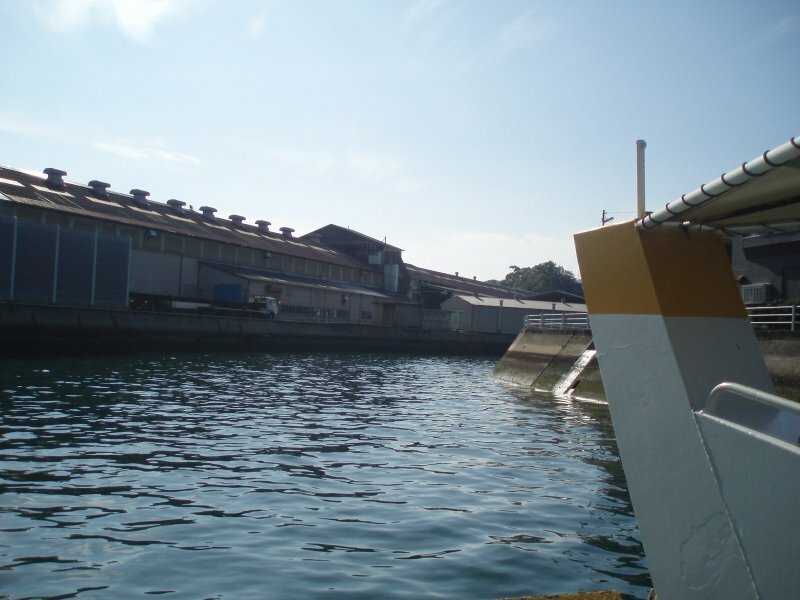 Much of Japan still reaps the sea for a living. After a modest 30 kilometers back to the original ferry, my little friend came to pick me up. I felt great, having completed my first solo trip. It wasn't rigorous by any stretch of the imagination, but it did represent my fulfillment of a goal (and hopefully a long term pursuit). 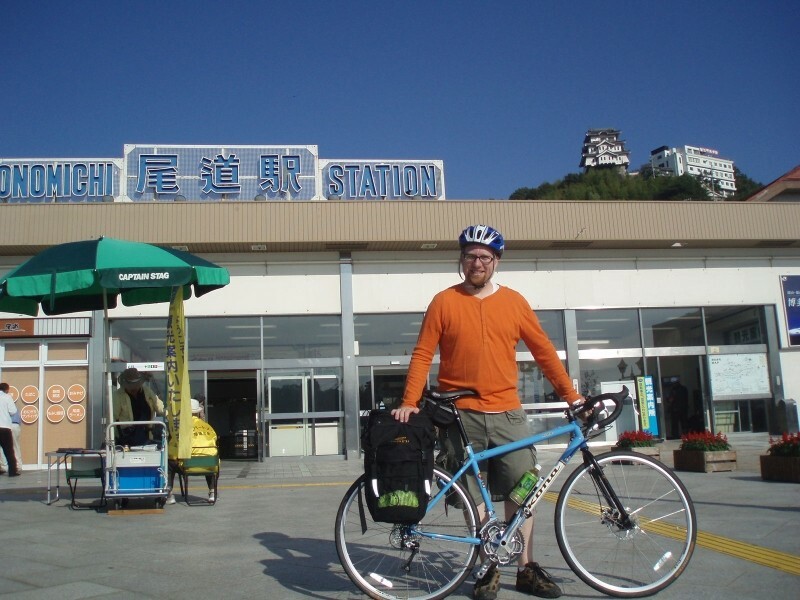 I packed up my bike at the station and settled in for the journey home, enjoying a cold beer on the bullet train as my reward. So that is it. It was the perfect day and the perfect ride. I am already planning my next trip. I think I will continue to follow in the footsteps of the KanCycling author until I become more comfortable with my bike and the rigors of touring. 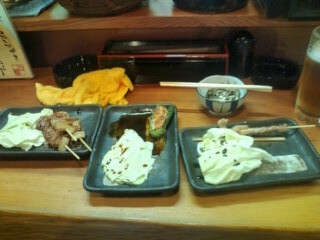 Unfortunately I only have this blurry phone pic of my yakitori as I was in an intense grilled chicken frenzy. Imabari yakitori is cooked on a skillet rather than over a grill. I don't think it is better, but they are famous for it. To the left is onion/chicken, the middle is green peppers stuffed with ground chicken, and the right right is seseri (neck). The white stuff is just cabbage. To make up for it, here is a picture of the complementary dish you get at the beginning of the meal when you go to a pub. The heads were particularly juicy when they popped between my teeth. 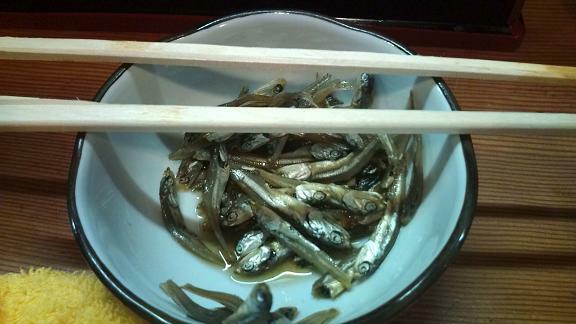 Not really my cup of fish tea. 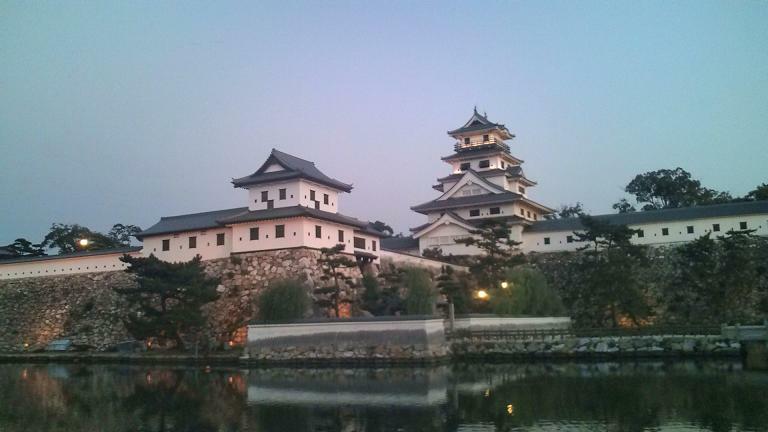 Finally here is a picture of Imabari castle that I found on my phone. I hustled out of my hotel room just before sunset in order to snap a shot of it. once again sir, you have my 5/5. A bike was the very first thing I bought when I arrived to stockholm, and I did a 20 to 30 km trip at least once a week. I learned and knew so much cool stuff and places, and never got lost again anywhere in the city. You get so lazy with directions when you are born next to huge mountains like the Andes, you can always tell where you are just by looking around here in Chile. A bike is the way to go. Some friends I have do an annual bike tour for about 3 weeks in the south of Chile, every summer, I was thinking of joining them this year, but seems that my swedish papers will be ready before February, so I dont know if I will be here by that time. 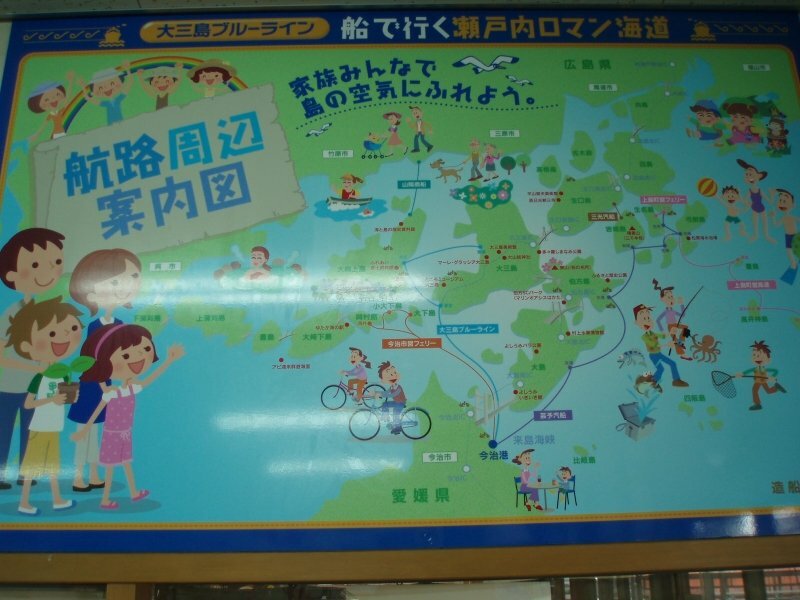 If I ever go to Japan, I would love to bike tour around. Wow...it looked like it was tons of fun. Great pictures. 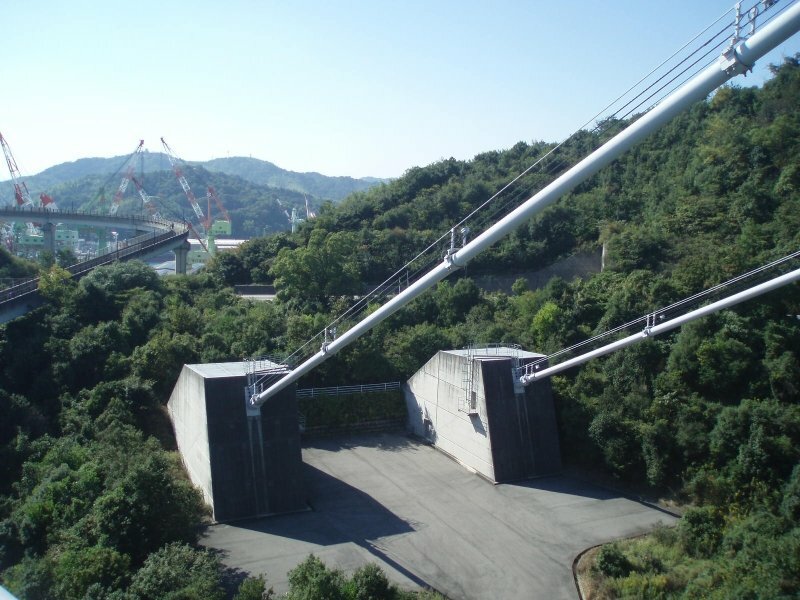 I definitely want to see that 4km suspension bridge someday. Wow. I wished my country had views like that! Lovely pictures! Biking is the best way to get anywhere. That sounds absolutely awesome. What a great website, what a great resource, and what a great thing to do! Nice pics. You look to good have you lost weight? Japan is awesome! Thanks for the pictures mani! 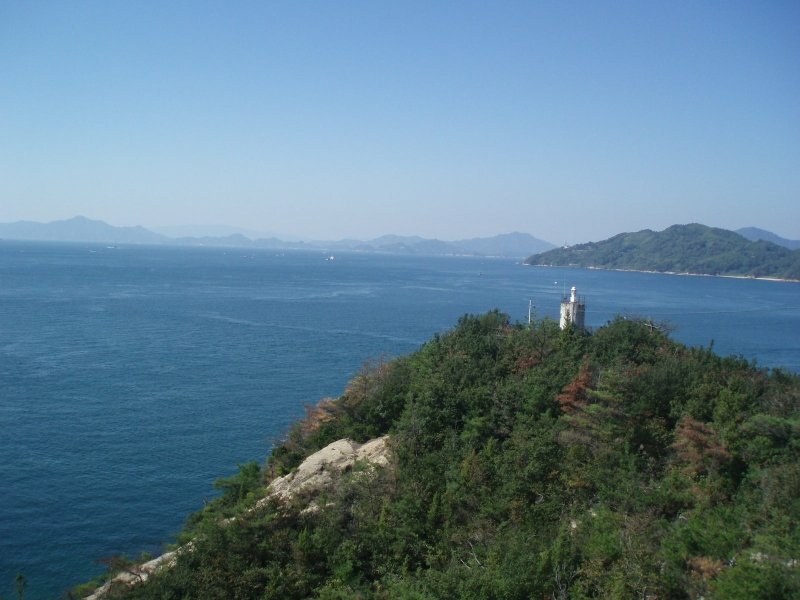 Nice pics Japan is such a pretty country, correct me if I'm wrong but I think they have the highest percent of old growth forest of any industrialized country. This is really cool, do it again! wow the bridges, love the photos!! wow that is awesome. curious question..how is the sun like? Do u have to apply lots of sunblock when you go on this bike tour?